§ Use 3M double side tape fixed to the top edge of door cover. 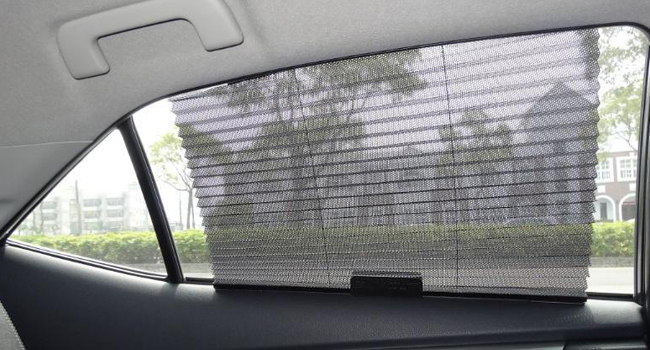 § When using the sunshade, you can pull the hook hang it on window glass top. § Use 3M double side tape fixed shade to the door frame. § Material and color: Black color, 100% Polyester fabric net.